Both sides of the stem cells controversy are passionate about defending their positions. 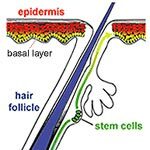 Before discussing stem cell research pros and cons it is important to understand the different types of stem cells and where they come from. 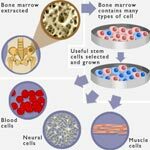 Stem cells can come from three different sources. One source is from the bone marrow, peripheral blood vessels, or tissue of a person. 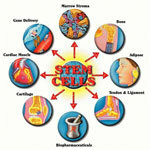 Stem cells are even found in the heart and brain. The second source of stem cells is an umbilical cord. Scientists from one of the leading USA Universities reported a major breakthrough in the skin stem cell research in February of 2008 by discovering how to reprogram adult skin cells into cells with very similar properties of mesenchymal stem cells. These new stem cells offer a variety of skin stem cell research benefits and are going to take science into a new level of finding cures for thousands of incurable diseases. Stem cell research pros and cons have made major headlines for the past couple of years raising public awareness and drawing a lot of public attention to this field of science. Stem cells are basic and somewhat primitive forms of cells that are intended to develop virtually into any tissue, organ or structure of a human body. This factor makes a foundation for pros of stem cell research and hope for finding cures for many current and future incurable diseases and giving another chance of life to people affected. 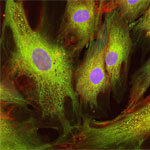 Mesenchymal stem cells have shown great promise in treating heart disease. Pluripotent Stem Cells – What Is Their Potential in Treating Diseases? The potential of pluripotent stem cells is enormous when it comes to treating diseases and medical conditions. The stem cells controversy does not center around whether or not these cells have benefits, but where they come from instead. This type of stem cell can develop into any cell type in the body, but is initially harvested from embryos and fetuses that have been aborted or died. Embryonic stem cell research has been in the controversial focus for many years and has gathered a lot of opposition to stem cell research from the public and religious groups. 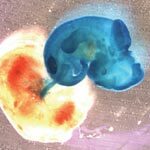 Some believe that there’s a lot of potential in the embryonic stem cell research as only this cell has the flexibility for repairing damaged nerves, organs and tissues, and curing hundreds of deadly diseases. On the other hand, a lot of people defend their arguments against stem cell research and believe it’s highly unethical and even murderous to destroy a human embryo for a faint possibility of finding a cure or helping someone in need. All major life forms take their origins with the stem cells, which can multiply to form any organ or tissue in the body, like muscles, skin, blood and bones. With the existence of so many life threatening diseases like cancer, diabetes, heart disease, stroke, metabolic and immunodeficiency disorders, there’s a strong need in a super therapy or treatment.